First, we’re ready for Philadelphia! ASA has published the program for the 2018 Annual Meeting Program here. As a sign of the continued growth of our networked transfield, CITAMS and its members have a strong presence at the ASA 2018. We have our 2 section sessions, 10 section roundtables, 3 sessions of Internet and Society, 2 sessions on Media Sociology, and many more sessions related to communication, information technologies, and media sociologies. Description: CITAMS session on Communication, Information Technologies, and Media Sociology section of the American Sociological Association welcomes papers that focus on any aspect of power and media writ large. Papers may examine any form of power and/or power inequalities in any form of media. Each paper presented at this session is also invited to be considered in the yearly CITAMS special issue of the Journal of Information, Communication and Society. Description: Celebrating the 30th anniversary of the section, the Communication, Information Technologies, and Media Sociology section of the American Sociological Association (CITAMS) welcomes papers on the history, present and future of Communication, Information Technologies, and Media Sociology, its place and role in sociology, the academe and the society. Each paper presented at this session is also invited to be considered in the yearly CITAMS special issue of the Journal of Information, Communication and Society. Section on Communication, Information Technologies and Media Sociology Refereed Roundtables (one-hour). *Session will be 1-hour in length; followed by the Section’s 40-minute business meeting. Description: The papers in this session explore the various concerns of digital platforms on the Internet and the effects on society. Description: The papers in this session explore how the Internet affects societal behavior through various facets including bias, education, health, and more. Description: The papers in this session examine the influence of Internet and society in shaping civic, political, and organizational outcomes. Description: New technologies make activism easier for people who don’t have to leave the comfort of their homes to “like” a politically-charged article or sign a petition. In this session, scholars present their emerging work on how different forms of media allows for particular activism, as well as the shortfalls of this sort of participation. Topics include: digital online action, kids’ political engagement, the American Indian farm movement, and information effects on disaster resilience. Description: The news has become an increasingly contested site of political division. This is especially true as the Trump administration’s attack on mainstream journalism pushes the relationship between nationalism and political narratives of “alternative facts.” In this session, presenters discuss their emerging research on: “fake news,” the media’s role in democratization, online extremism, and the future of media power. Description: The Communication, Information Technologies, and Media Sociology Business Meeting is an opportunity for members to raise issues, express opinions, and discuss important topics in regards to Communication, Information Technologies, and Media Sociology. All interested members are encouraged to attend and share their insights, reactions, opinions, and suggestions. Dave & Buster’s, Sunday, August 12 @ 6pm, 325 N Christopher Columbus Blvd, Philadelphia, PA 19106, which is just 1.5 miles away from the conference headquarters. This year’s CITAMS reception will be held at Dave & Buster’s on Philly’s Delaware River Waterfront. We have reserved the picturesque Bridgeside Patyroom, offering a stunning view of the the Benjamin Franklin Bridge. Hor d’oeuvres for all! A free drink and game card for the first 75 in attendance! Join us for fun, games, friends and sociology (as if they are not all the same thing)! 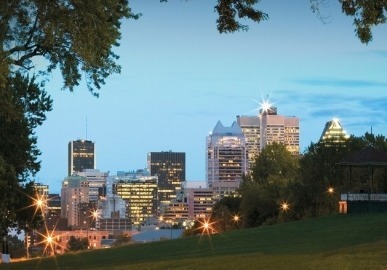 Council Meeting: 7am-8:15am, Palais des congrès de Montréal, Level 5, 517B, Breakfast served. Online Opportunities and Risks for Children and Adolescents: An Integrated Model for the Case of Brazil. Tania Cabello-Hutt, University of North Carolina-Chapel Hill; Patricio Cabello, School of Journalism, Pontificia Universidad Católica de Valparaíso; Magdalena Claro, Center for the Study of Educational Policy and Practice (CEPPE), Faculty of Education, Pontificia Universidad Católica de Chile. The impact of contemporary technologies on interpersonal relationships has riveted public attention. Anxieties abound concerning smartphone-obsessed parents who neglect their children, teenagers socializing in virtual spaces, and the ever-growing importance of social media in all spheres of life, from online romance to online activism. What do we know empirically about new technology and social interactions so far, and what else lies ahead? Panelists: Elizabeth Ghedi-Ehrlich, Scholars Strategy Network Emily Costello, The Conversation U.S. This panel session speaks to how public discourse shapes material and cultural inequalities by specifically examining how the news media shape group boundaries. News media representations of social groups shape people’s understandings of themselves and of others. By drawing on a range of specific case studies, this panel will contribute to our understanding of how the news media draw symbolic boundaries around groups in ways that produce, maintain, and sometimes challenge social inequality. Interested in information, technology, and media? Of course you are. Be sure to add CITAMS as one of your sections! Communications Building on the UW campus, at 4109 E Stevens Way NE, Seattle, WA. Please report to CMU 126. Directions. The growing ubiquity of the digital has begun to erase the need to maintain the divide between spaces. Despite that ubiquity, unequal treatment through the specter of anonymity from the web’s early days has created new ways to deny inclusivity among groups. In 1898, Arthur Strand believed that the addition of sight to a telephone call would mean, “distance will lose its enchantment by being abolished altogether.” Now, 118 years later, we know that the problem of distance has morphed, changed to something more than simply being there during a person-to-person call. At this table, these researchers examine the impact of social media on political movements. What does it mean to be computer literate? Many point to youth as a literate population. It is as though growing up in a technologically super-saturated world somehow transfers the ability to navigate digital environments with ease. We know now that the concept of the so-called digital native is a misnomer but it begs the question, “how and who actually is literate given the presence and ubiquity of technology?” At this table, we find a group of scholars exploring this question from many different perspectives. Discussions of the news, or news media are important when we begin to consider their influence over public rhetoric in the age of social media. At this table, the discussion will revolve around how news has changed over time. Each crisis is in no small part human-created. At this table, researchers who have engaged the concept of crisis, from politically driven to naturally-driven, will be discussed. Technology in the age of information is focused on a particular paradigm – 1 user using 1 machine. When that paradigm was augmented by networked devices. The resulting proliferation of computerized networks and inevitable mobilization of that paradigm has created numerous, very personal effects for people, groups, and societies writ large. At this table, we see multiple attempts to understand how technologies influence people. This table shares the name of the Xerox PARC book, “The Social Life of Information.” In this book, the authors discuss the consequences of the technical sciences maintaining control of the information that they produce. While we often view time as a correlate to progress in technological terms, the truth often shows a far less favorable process. This collection of authors concerns itself with consequence in a digital age. Here, we have gathered 4 papers representing the builders of CITAMS. From deep sight to the cloud, from the social life of metrics to mobilization, these sociologists are not only observing people use technology, but building it as well. Is Social Media New Public Sphere? Our section’s 10 Roundtables, Business Meeting, & 2 Panels are all scheduled in the Palmer House Hilton from 8:30 AM to 6:10 PM. Join us for our reception with the Children and Youth Section on Monday evening from 6:30 – 8:30 p.m. at The Gage (24 S. Michigan Avenue, Chicago, IL 60603). The panel opens with “Big Data and the emergence of system identities” by Aneesh Aneesh and Matthew McCarthy. Second on the panel, Deana Rohlinger presents “Strategy and social change: Why reputation matters to social movements.” The third contribution comes from Wenhong Chen, Cuihua Shen, and Gejun Huang: “The implications of coplay for generalized trust in and beyond a Chinese MMOG world.” Fourth up are Weixu Lu and Keith N. Hampton with “Beyond the power of networks: Differentiating network structure and social media for social support.” Next, “A dynamic phenomenon: The uses and types of social network sites” will be presented by Grant Blank and Darja Groselj. The session closes with “Using topic models to study journalist audience convergence and divergence: The case of human trafficking coverage” by Maria Eirini Papadouka, Nicholas Evangelopoulos, and Gabe Ignatow. Susan Sprecher (Presider), Diane H. Felmlee, Adam Hampton, and Hannah Jones begin with “Can I connect with both you and my social network? Get-acquainted interactions and communication technology.” Mary Chayko presents “Portable Community: Creating Collective Meaning in Digital Environments”. Xiaoli Tian concludes the round table with “Network domains in social networking sites: Offline life and online activities.